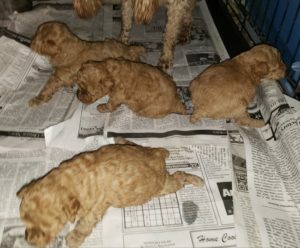 We have a new litters of gorgeous Toy Poodle puppies. 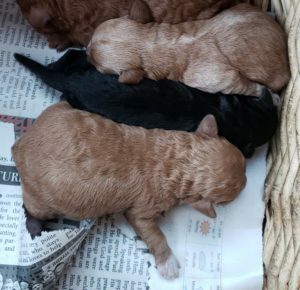 First litter, DOB 01/18/19, apricots, 3 males, 1 female (sale pending on female). 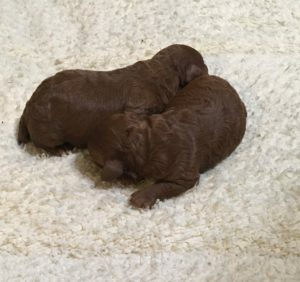 Second litter, DOB 01/31/19, 2 deep red, maybe chocolate males and third litter, DOB 02/04/19, 3 tiny females available, 1 apricot, 1 blonde and 1 black. Have Toy Box champion bloodlines in their pedigree.